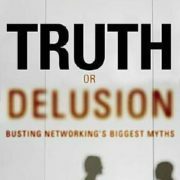 The premise of this book is that we will achieve greater results from employees by focusing on the employee’s strengths, rather than their weaknesses. The thing I like about this book is that the concept is simple. The authors know the concept is simple and instead of writing the same thing repeatedly, like some authors might, these authors explain the concept, provide examples of their theory, provide data to back it up and call it a day. It is a relatively short book that give some great examples. One example is of Susan, a manager. The first time she tried to recognize her star sales rep, she failed miserably, upsetting him in the process. This example shows the importance of figuring out what is important to your employees and awarding them in a way they recognize as positive. 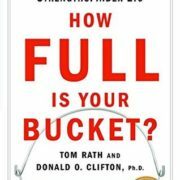 This is just some of the great advice this book provides for those tasked with managing others. Overall, I give this book four stars. This book was given to me by a client. The client felt this book was helpful to her in navigating her case with her husband, whom she believes to be suffering from borderline narcissistic personality disorder. 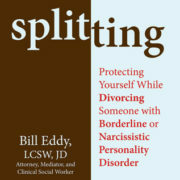 Splitting is a term used to describe a defense mechanism universally seen in people with Borderline and Narcissistic Personality Disorder. I definitely have a love-hate relationship with this book. Let me begin by being truthful with how long it took me to finish this book. I got through the first half of the book pretty quickly and then I stalled for approximately six months (maybe longer) before finishing the book. I was just having difficulty picking it up and getting through it towards the end. The information was very helpful for a person going through a difficult divorce with someone they suspect as having personality disorders/defects. The issue that I was having is that some of the legal-based information was inaccurate, and not in a, procedural differences between jurisdictions, kind of way. Some of the basic information was inaccurate and misleading, in my opinion. The book attempts to address the different types of evaluators that can get involved in a divorce case. One such evaluator it discusses is “an attorney for minor children.” Even this label is frustratingly inaccurate. It leads the reader to believe that it is referring to an attorney representing the minor children. What I think it is actually referring to is a guardian ad litem, which is an attorney that represents the best interests of the minor children. There is a very distinct difference between representing a minor child, which requires you to advocate for the position your client wants you to advocate for, and representing the best interests of the minor children, which requires you to advocate for the position that you feel is in the child’s best interests, regardless of what the child wants. If a parent wants the minor children to be represented by an attorney, the only way to accomplish this in a private custody case is to hire an attorney to do so. A Guardian Ad Litem is appointed by the Court and the Court makes an order about who will be responsible for payment of the GAL’s fees, which are usually divided equally by the parties. The entire section on this seems to confuse the two roles. There are a few other sections that are ambiguous or misleading, which I feel might result in confusion on the part of the client. The book is not all bad though. It provides some great suggestions for how to deal with a high-tension, highly litigious opposing party. One of the best points made by the authors is the fact that highly aggressive attorneys often don’t win in the long run and that for negative advocate attorneys focus on their performance in court. They put on a show for their client and as a result, their client thinks they did a great job. This is something I have been telling my clients for years. I might add that the reason I know they are only putting on a show for their client is because, often times, attorneys go into chambers with the judge and discuss the issues before any hearing occurs. The judge often tells the attorneys their point of view on the issue after all arguments have been made. The attorneys and parties go on record thereafter, but at that point, it is only a procedural formality. The attorneys already know how the judge will rule before the formal hearing occurs. Any arguments made are only for the sake of the record and for the sake of the clients. Another great resource and suggestion made is the open letter to family and friends in the back of the book. The letter is provided as a “suggested script” of a letter that a person can send to their family and friends as they are going through the divorce process. With some modifications, this letter could be used for almost any type of divorce. In a high-tension and highly litigious divorce, a letter like this is a great tool. One of the best pieces of information in the letter is to as your friends and family not to take sides in the divorce. 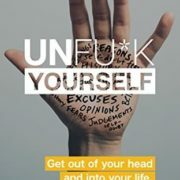 By way of example it states, “while siding with me may give me a temporary feeling of satisfaction, it is a form of all-or-nothing thinking that reinforces seeing one person as all bad and the other as all good.” So basically, you are using the letter to ask your friends and family not to talk smack about your soon to be ex because that leads to deeper feelings of resentment and vindictiveness. This is a great idea because those feelings usually already exist in abundance and do not need to be reinforced. Clients often come to me before they have told anyone what they are going through, and that includes their children. Clients often ask me how to have the divorce discussion with their children. My answer is that it depends how old their children are and what the maturity level of their children is. 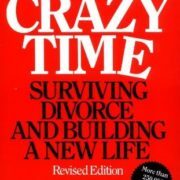 One option is to begin introducing the idea of divorce through books. 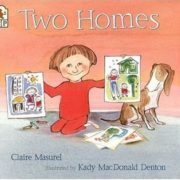 Two Homes is one such book that could be used to introduce the idea of divorce to young children. The books states that it is for children 3-7 (on the back) but I would argue that it is actually for the younger end of that spectrum. The book is very basic and could be used for a younger or less mature audience. Maybe 3-5 years old. The book revolves around Alex, presumably an only child and uses basic one-liners to show how things are different at each of his parent’s homes but it puts a positive spin on the fact that he has two of everything because he has two homes. At the end it emphasizes that he loves both of his parents and both of his parents love him. 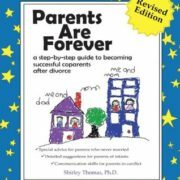 If both parents are committed to having an amicable separation and divorce, this could be a great book to introduce the changes the child will experience. My only hesitation would be that this book paints an ideal picture of what it will look like, which, if both parents aren’t committed to making it a smooth transition, this book might set the child’s expectations too high. But with this age group, I am not sure you have many alternatives because you definitely want to make every child feel comfortable and safe. I rate this book 4 ½ stars and I would suggest this book for children on the younger end of the age spectrum.